*So I’m late posting this to the blog as I made it in Feb 2019. I bought this paper at Hobby Lobby thinking it would be good for some customers. Well decided to make one for one of my bosses to give his wife. I have been making Valentine and Mother’s Day cards for her for the past 9 years. When she saw me she told me that she told her husband he was never allowed to buy a store bought card again for her!! I hope she likes this one….a little different than my normal style. I used a sketch from last month’s January Card Sketch Challenge – Bonus sketch. 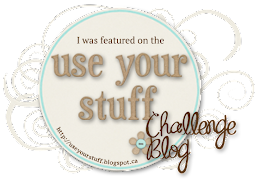 Original sketch was Feeling Sketchy Challenge Blog #211. The two sushi and front chopstick were printed out a 2nd time and then pop dotted to give it dimension. I made this card for a friend’s friend who was turning 95 and wanted to eat sushi. She didn’t have anyone to eat sushi with her so since my husband loves sushi he volunteered! I made this card to give her at dinner. She loved it and said it was the best birthday she could ask for! Then I had another friend that loves sushi so I made her one too! I then had a lady see it and want one for her weekend get together with out-of-state boyfriend. They were having a sushi themed weekend. Are those chopsticks? or you just happy Sashimi? He loved it and said it was going on his desk! Made in March….late posting to the blog. 1) March Happy Mail Challenge – finally mailed it to my friend as a late birthday card. Digital Image: Sushi Clip Art by Emily Peterson. Patterned Paper: Sushi Digital Paper by Emily Peterson. In trying to come up with the first sushi card I printed out this digital paper. I didn’t end up using it for that card but thought it would make a cute card using the same sketch but making it the focus and just a sentiment. I like how this one turned out too! *Made in March…late posting it to the blog. I turned it horizontal and left the ribbon off. I did add rhinestone which was part of the Product category of the March Inspirational Card Challenge. The happy birthday was a section on a patterned paper piece that I cut out. I made this card for my niece Kenzee for her 17th birthday. I was late but finally got it in the mail. I used a sketch I had saved: Paper Play Sketches #33. Made it horizontal instead of vertical. After making the card above I had the strip of purses left over so I decided to make a similar card with purses. So I made this one first for a lady’s birthday that loves Daisies and her last name is Fox. Since I had another paper/supplies left over for one more card I made it into a Spring card. I made this in March just late publishing it! 1) March 2019 Card Sketch Challenge – Sketch #1. 2) March Inspirational Card Challenge – Theme – Spring. Had to make some Easter Cards for a lady at the Retirement Home. So I made these for her to pick from. I pulled out my stack of papers and found several journal card sheets. This was a journal card with more white above the chicks. I cut it off then turned it over to find the awesome orange and used it as the top of bottom. Worked perfectly for Sketch #5 of the March 2019 Card Sketch Challenge. It also fits the Spring theme of the March Inspirational Card challenge. I made several cards up for a lady that wanted Easter cards. I used my supplies on hand and used up some journaling cards. 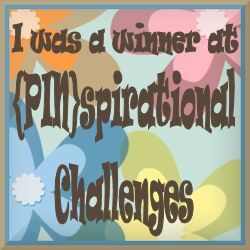 Which worked out perfectly as that was the Product Category at the Inspirational Card Challenge on Scrapbook.com. I couldn’t use the big journaling card the way it was because the message didn’t fit. So I pulled out my handy dandy Cricut and made a new bracket shape and printed the saying on there. I cut out the rabbit from another journaling card as I thought he was perfect for this. Another Easter Card using up Journaling Cards which was the Product for the March 2019 Inspirational Card Challenge on Scrapbook.com. I cut out the center of the big journaling card and used it for another card. I then cut the egg out of the smaller journaling card and pop dotted it in the center of the frame. Another Easter Card using up Journaling Cards which was the Product for the March 2019 Inspirational Card Challenge on Scrapbook.com. I cut out the eggs from the large journaling card and then used a small journaling card that had all the Easter words on it. I paired them with some bright paper that reminded me of what would be on Easter eggs! Another Easter Card using up Journaling Cards which was the Product for the March 2019 Inspirational Card Challenge on Scrapbook.com. I cut close around the design so I could mat it. Last Easter Card!! This one is for March 2019 Inspirational Card Challenge – theme – Lawn and Garden. This journaling card has the bunny standing in a yard with a tree and flowers. I decided to use the inside of another journaling card I cut out and it covered up the tree which I was okay with. Once the banner was on there only one flower was showing so I cut out some flowers from some paper and pop dotted them. I added a cloud since I covered up some. Hope you have a wonderful blessed Easter! Oh my it has been forever since I posted on here. Actually haven’t made a ton of cards this year….personal life went crazy and had no free time. But trying to get into a new routine that includes crafting time! So welcome back! I needed a Cardinal Baseball themed birthday card. I found the image on the internet and used sketch #1 from the Feb Card Sketch Challenge at Scrapbook.com as my inspiration. I also used KatieJo’s version of the sketch…I like how she had little hearts in the background so I used circles to look like confetti….well that was my plan anyways!